Wise Business Plans > Blog > blog > Teamwork Really Works! Business owners and managers like to talk a lot about teamwork. Head into almost any office environment, and posters, signs and sticky notes about teamwork will cover the walls and desks. But true teamwork in business is hard to find, especially if you work in a competitive industry. In spite of that rarity, it remains one of the most productive human activities possible. Every business wants to harness this fabulous “team” power, but achieving such a level of motivation and just initiative isn’t easy. A team is not just a group of individuals who work at the same time int he same place. Just because you all have the same clothes on doesn’t make you a team, either. 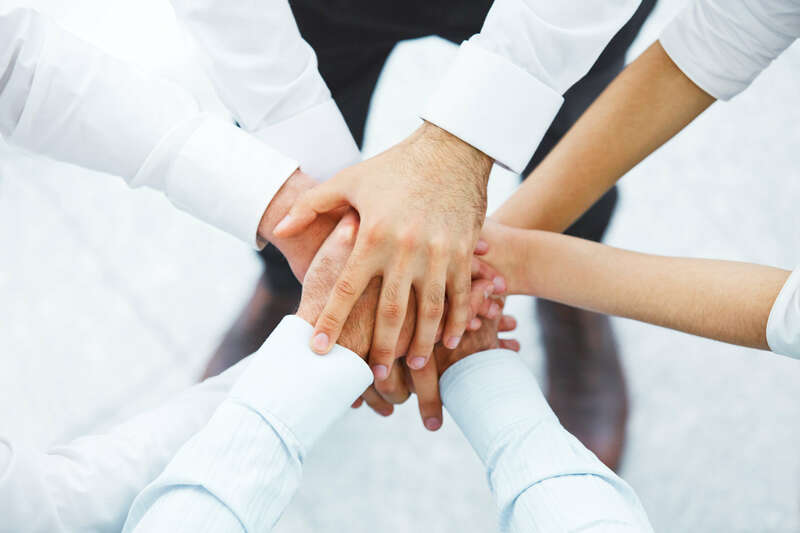 A real team is made of people who may not be equal in education, experience, or even talent, but who are all equally committed to working together to achieve the same goals, for good of the organization, each other and the company’s customers. This level of teamwork doesn’t happen by accident. It requires commitment, effort and a level of repetitiveness known as practice. When we build teams, employee morale will often show just how well things are working, because a well-trained team is usually a happy team. High-functioning teams can be the proof that your company is reliable, stable and ready for the future. This image is then projected to your customers, vendors, competitors, and communities. To craft a successful team building business plan, you should not look at your company as departments, divisions, or branch offices. Look at the bigger picture and work together in ways you may never have done before. We may even need to cooperate with the competition. Think of all the mergers and acquisitions in the past few years. Your number one competitor today could be your partner tomorrow. Building a team that can truly get results isn’t done with slogans and policies or posters and sticky notes. By respecting each person’s individual contributions, showing your appreciation, and making sure they know that their team effort has the potential for real fulfillment and success, you can build and sustain a team of employees that are happier and leave work each day with a good sense of accomplishment from a job well done.